The glowing contrail could be seen as far away as Phoenix, reports The Associated Press. “People were wondering if it had something to do with movies, or TV or a UFO,” Jimmy Golen, who was touring the Warner Bros. studio in Burbank at the time, told the wire service. Despite the confusion, Friday’s launch was not a novelty. 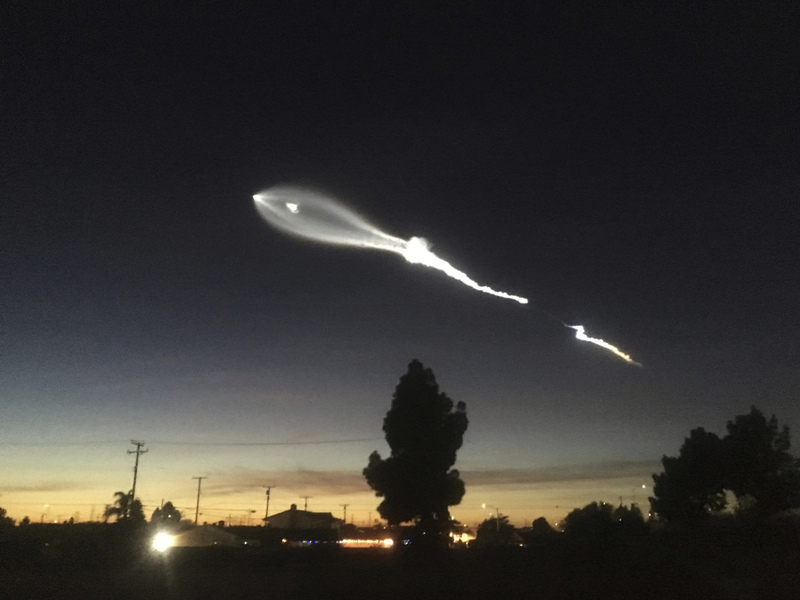 It was one of more than a dozen launches SpaceX has completed this year from California as well as Cape Canaveral, Fla., for various missions including sending supplies to the International Space Station. The AP reports Friday’s launch was perhaps especially dramatic since it occurred during sunset, helping illuminate the contrail. In another tantalizing move Friday, Musk posted a series of pictures to Instagram of an original Tesla Roadster to be used in a test flight of a brand new rocket. Musk released the images hours after an apparently leaked photo of the roadster was posted to Reddit, according to Gizmodo. The Falcon Heavy’s inaugural flight is expected to take place next month, reports Space.com. Following the Tesla Roadster test flight, Musk has said the company plans to use the rocket and its Dragon space capsule to fly two private citizens around the moon by the end of 2018.